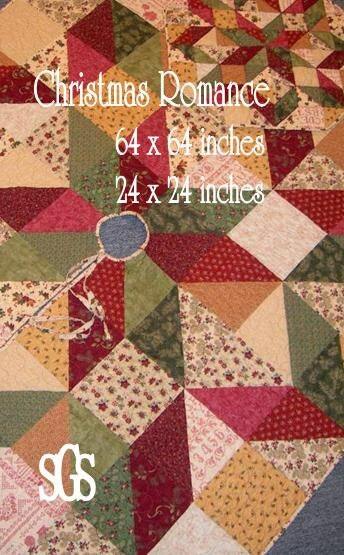 Christmas Romance pattern is 64 x 64 inches (tree skirt) and 24 x 24 inches (table topper) . It has clear directions printed in black and white along with a color front printed on cardstock paper. Pattern is held together with a metal brad paper fastener instead of a plastic bag. Pattern has both a tree skirt and table topper pattern in it. This pattern was downloaded successfully. I haven't had time to try it yet.